Dear readers, hope your week is going well! I had promised to feature an astounding online store that is reviving lost charm of Channapatna toy industry and here I am with the post . Now sit back, relax and let's get lost in the world of beautiful, colourful and handcrafted wooden toys and home decor accessories. I am sure this post will bring back lots of your childhood memories. If you have missed reading my previous post then spare few minutes to know more about Channapatna toys (click here). 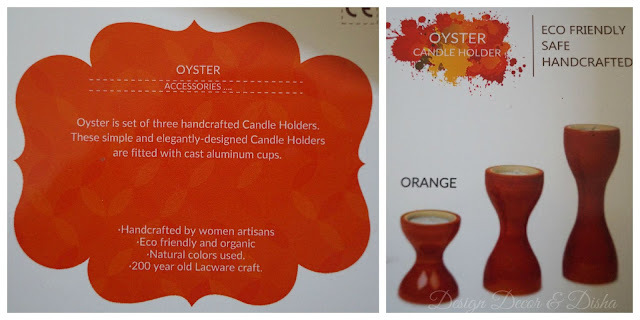 The brand I am gushing over so much is Oodees.in, a brand name of company Jufaro Craft Private Limited that operates from Bangalore, India. Vijay Pathi, the founder of Oodees shares with 3D how he is striving hard and working strenuously to resuscitate an age old craft of making wooden toys in India which was on the verge of dying out. When I received the mail from Vijay Pathi I was completely awestruck by the beauty of the products that Oodees.in offers. Now let me share how the happiness arrived at my home carefully packed in beautiful packaging. The design of Oodees toys are carefully researched and these toys help in development of child. Toys are perfect for child at every age. This 200 year old lacware craft has been given a new lease of life. Wooden toys and home decor products are handcrafted by women artisans. 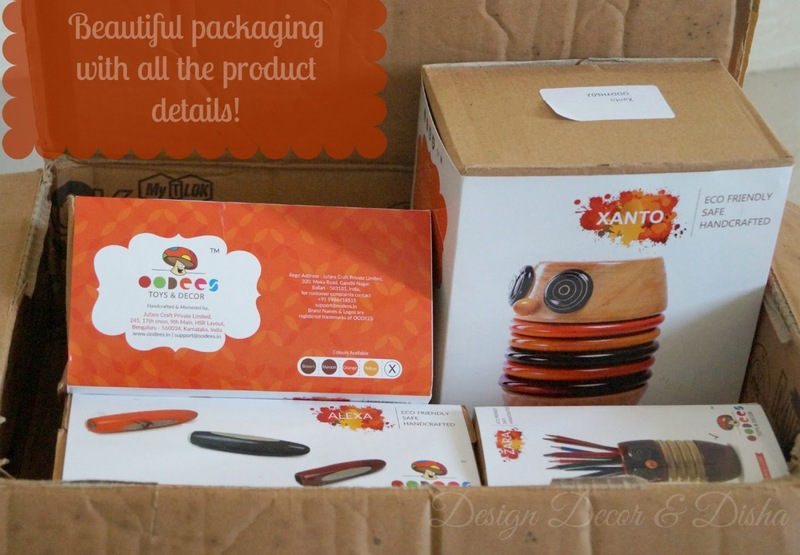 Products are eco-friendly, non toxic and completely safe for kids. Colours used in staining the wood are all natural colours. Products are extremely beautiful, vibrant, designer and durable. 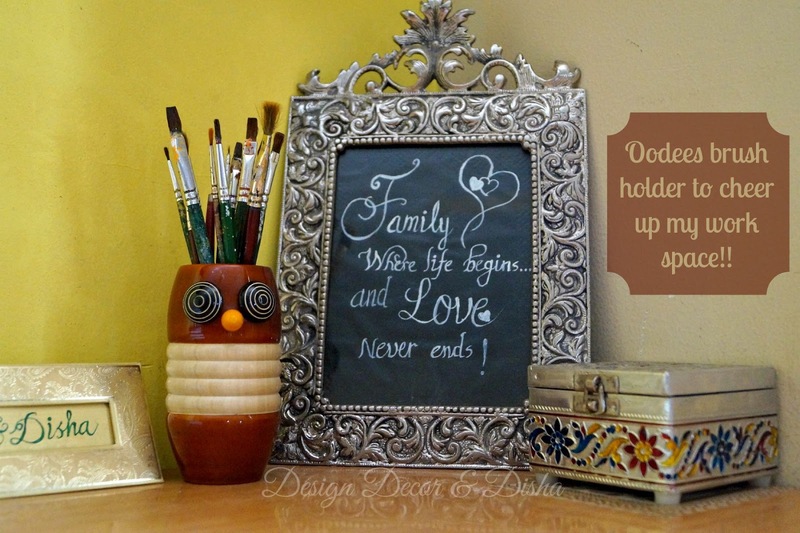 Now let me show you how the Oodees products are enhancing beauty of every corner of my home. These lustrous candle stands named Oyster are adding charm to my space. Their shape and colour is so eye pleasing that they immediately get all the attention. This extra ordinary decor piece is certainly a conversation starter. I went bit unconventional and placed my handmade glass bowl candles instead of plain white pillar candles. And the result was extremely pleasing. 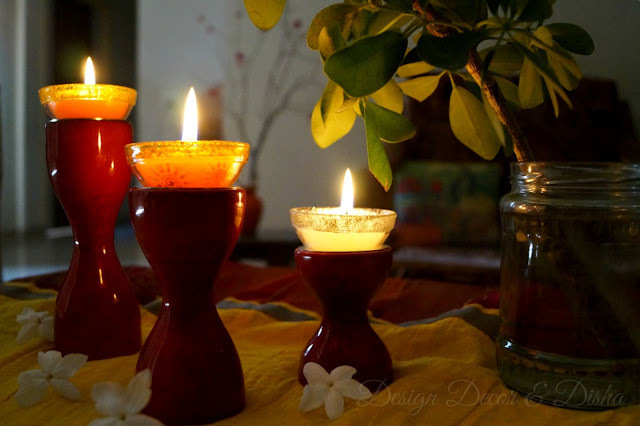 I love how the warmth exuded by candles are making candle stands all the more lustrous and eye pleasing. 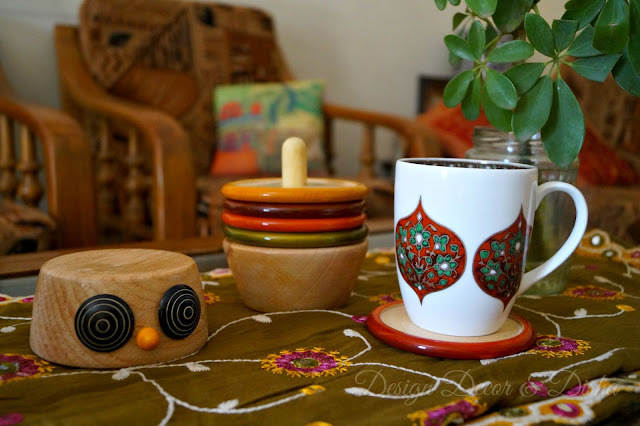 Xanto, the Oodees wooden coasters are perfect addition not only to my coffee table but in my kitchen too. 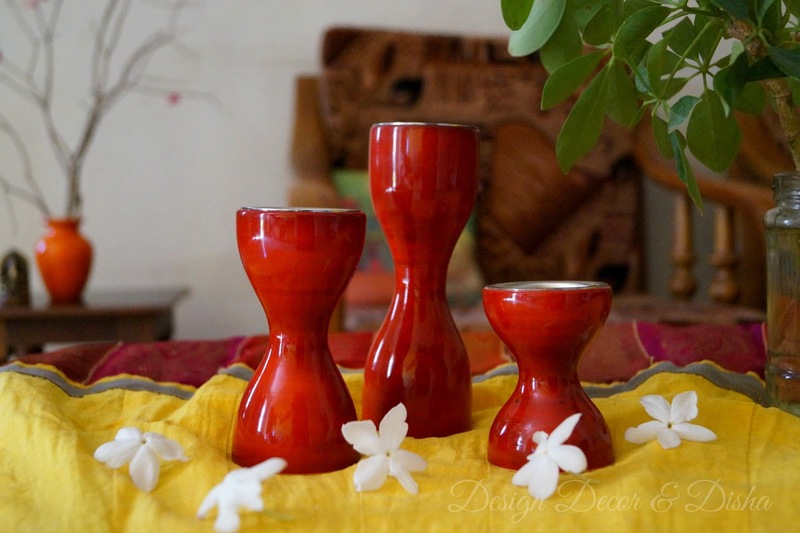 They are colourful, beautifully designed and one of a kind home accessory. Look at those hypnotizing eyes of Xanto! When coasters are not being used, they are just stacked and make a very beautiful toy. These wooden coasters in vibrant colours are certainly adding splash of colour in my kitchen. My owlie Paul is there to give company to the coasters. 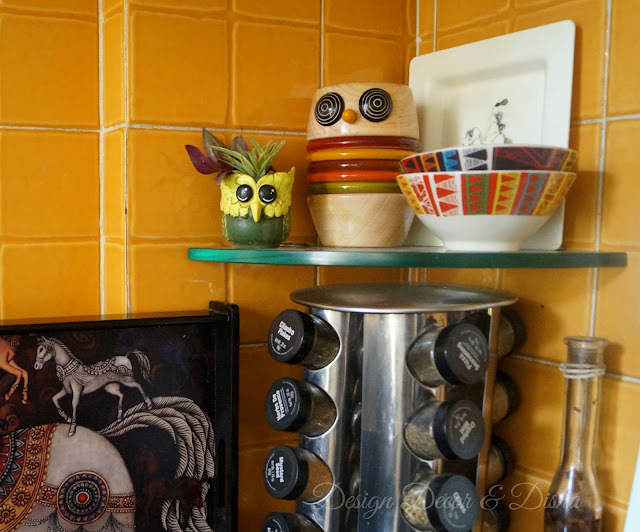 My plain and minimalist kitchen got a face-lift after I added few Oodees home decor products here. 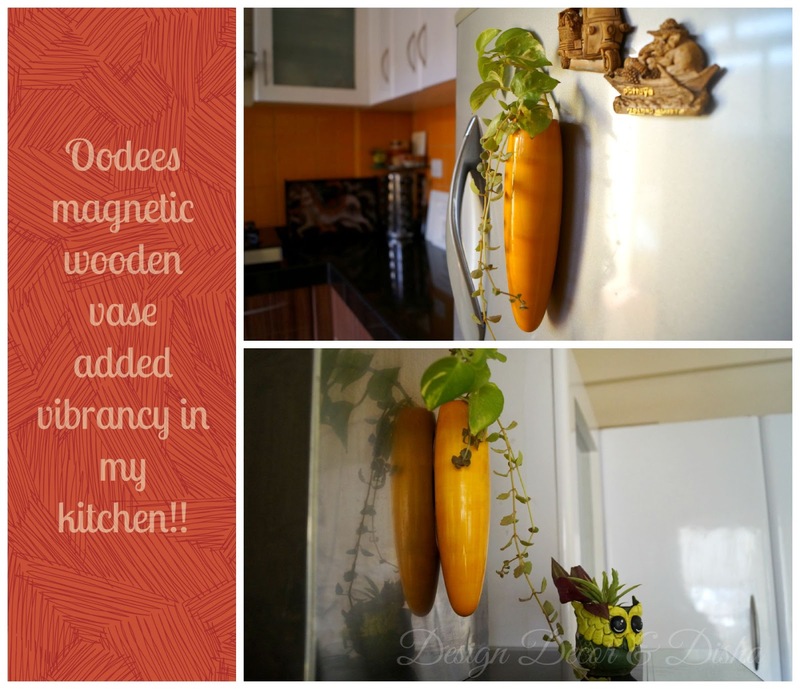 Would you believe if I say a vase can be a fridge magnet or a fridge magnet can come in the form of vase. Yes Oodees did it. Alexa, an extra ordinary piece of decor, a bud vase is a must in every home. It can be stuck on any iron surface like refrigerator, chimney, almirah or any other iron surface. Here's how I am using it. The shape, the colour and the beauty of the vase is absolutely delightful. It's quite impossible for me if I don't get anything for my home office. It's my favourite place in my home. So here is miss Zara, a brush/pen holder to add cheer to my desk. She is so cute, she is so functional, I am more than happy to have Zara on my desk....a big grin on face. You will be doing your bit to save our planet if you buy environment friendly 100% natural Oodees products. You are bringing happiness to your kids and your home in true sense. As these products are non-toxic and completely safe for your little one even if they put the toy in their mouth, unlike plastic toys that are hazardous to health. You are buying a product that is 'Made in India" and made by women artisans who make a living by creating these beautiful products and hence it adds to India's economic prosperity. So if you are planning to gift your loved ones a gadget (that make young minds numb) or soulless toys from some other countries, then ditch the idea and gift them these most beautiful, handcrafted, durable and designer products. Hope you like the idea. Share this post to spread the message among your friends and family and contribute in growth and prosperity of India. 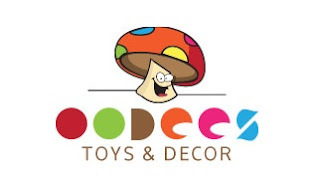 Want to buy Oodees products, click here. Have a beautiful weekend ahead! !